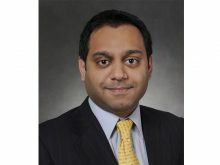 Boeing has named Salil Gupte as its India head, effective March 18, 2019. Gupte succeeds Prat Kumar, who was appointed Vice President and Program Manager of Boeing’s F-15 fighter aircraft programme in November last year. 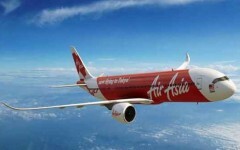 He will be based in New Delhi and report to Marc Allen, President of Boeing International. Gupte will join as President of Boeing India from the aircraft maker’s wholly-owned subsidiary Boeing Capital Corporation, where he served as Vice President. 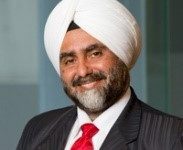 In his new position, Gupte will advance the development and execution of Boeing’s strategy in India, integrate business activities across company’s commercial airplanes, Boeing defence, space and security, its global services, and lead the growth and productivity initiatives in India. He will also manage Boeing’s partnerships with the government and business stakeholders with a team of over 3,000 employees and joint venture personnel located across the country. His leadership will extend to cover Boeing’s large supply chain presence in India, its engineering and technology centre in Bengaluru, and Boeing joint venture with Tata in Hyderabad. “I’m thrilled to be joining my colleagues at Boeing India during such an exciting time, when the business is growing exponentially and we are building the future of global aircraft manufacturing, services, supply chain, engineering, technology and innovation, right here in India,” Gupte said.